Loaded with 18 frequently used long gun tools! Allen hex drive: 3/32" or 5/32"
Real Avid The Gun Tool is a pocket-sized savior… loaded with 18 tools, including wrenches and drive bits. A portable must-have for all gun owners! Is your scope loose? Maybe your grips are LOSING their grip? Not to worry! Thanks to this handy all-in-one Gun Tool that travels in your pocket, cleaning kit or pack, field maintenance is a snap. It allows you to make on-the-fly adjustments at the range, in the field or anywhere... in a heartbeat. Don't shoot without it! 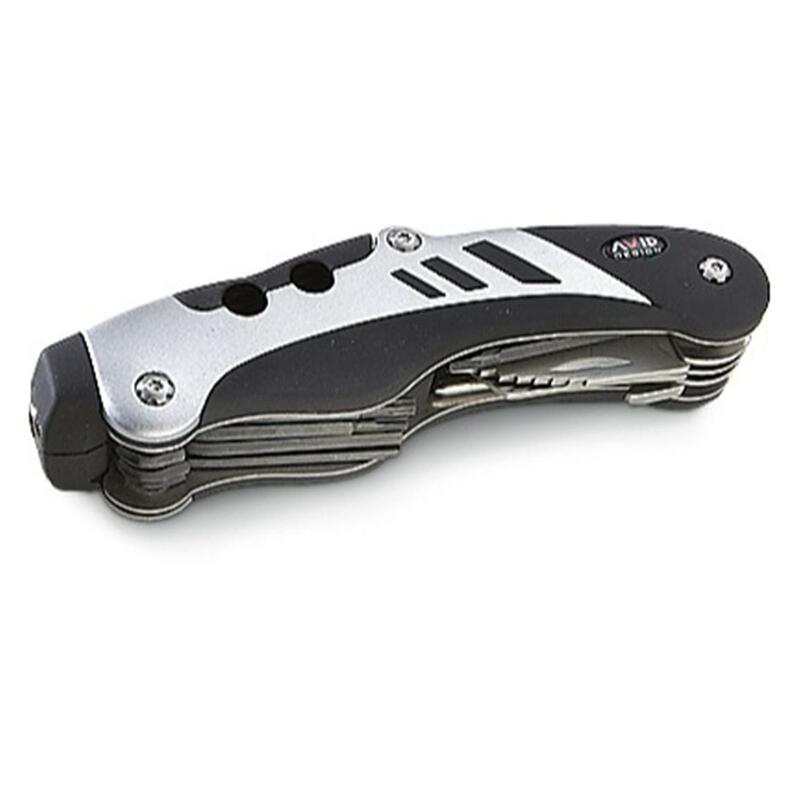 Real Avid The Gun Tool is rated 4.6 out of 5 by 138. Rated 5 out of 5 by JJSLAM from Delightful! I purcased the Gun Tool for a friend of mind, and he loved it! 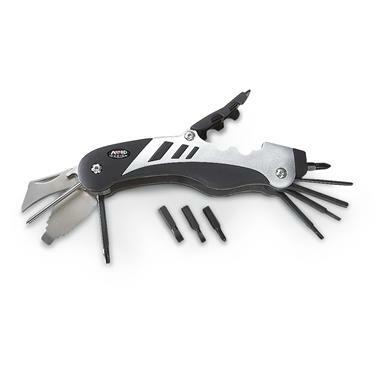 Rated 4 out of 5 by Northeaster from Nice to Have Good quality tool with a nice selection of hardware. Larger than expected, but no big deal. Would pick up another one on sale again. Rated 4 out of 5 by Justin49 from Neat little tool Handy little item to throw in the range bag or keep in the truck. Pretty useful so far. Rated 5 out of 5 by Abby from Great to have at the range! A new way to hunt big game. The gold standard for guns, boats, ATVs and more! Great for cleaning your AR-15.